The QNAP TVS-673 features AMD 3rd Gen GCN architecture with breakthrough GPU performance to delivers superior real-time 4K and 1080p video transcoding to convert videos to universal formats with Plex that can be smoothly played on PCs, mobile devices and Smart TVs. With offline transcoding, even when you can only connect using a low-speed Internet connection, you can still enjoy smooth video playback via File Station, Video Station, and the Qfile mobile app by selecting a pre-rendered lower resolution video. If you have some Blu-ray and DVD discs, you can choose to rip and backup Blu-ray and DVD to QNAP TVS-673 NAS then you can stream the disc media with Plex. You can use a professional Blu-ray Ripper to reach the goal cause a Blu-ray Ripper can decrypt both Blu-ray and DVD and then backup or convert Blu-ray and DVD so that you can put your Blu-ray and DVD movies in QNAP TVS-673 NAS for Plex streaming on your Smart TVs such as Samsung TV, LG TV, Sony TV, Panasonic TV, Vizio TV, TCL TV, Toshiba TV, JVC TV, etc. 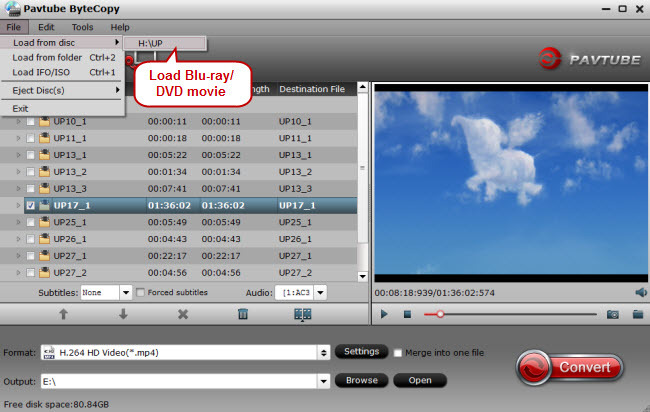 Here, we can introduce you an ideal Blu-ray Ripping software and the easiest way to rip Blu-ray and DVD to QNAP TVS-673. If you've used free DVD ripping software before, Pavtube ByteCopy might look a little familiar – it bears more than a passing resemblance to DVD Decrypter. As well as handling DVDs, the program, is also capable of ripping Blu-ray discs to QNAP TVS-673, and the process works in exactly the same way in each case. The great thing about Pavtube ByteCopy is its built-in decryption tools, without which it would be impossible to convert the content found on many commercial Blu-ray and DVD Discs. Encryption protocols such as AACS and CSS are automatically removed as the software rips the files from the disc, making them available for conversion. It can 1:1 backup Blu-ray/DVD to QNAP TVS-673 with best audio & video quality, without losing Meta info like audio tracks, subtitle streams, chapter markers and can convert Blu-ray an dDVD to multi-track MKV/MP4/MOV/AVI to store in QNAP TVS-673 for playback with Plex on Smart TV, Game Consoles, etc. You can pick the preferred audio and subtitle tracks, select the output profile, as well as tinker with audio and video settings concerning the channel mode, sample rate, bit rate, volume level, codec, and frame rate. If you are a Mac user, you should use Pavtube ByteCopy for Mac, which is compatible with macOS High Sierra. Insert Blu-ray or DVD into disc drive. Launch ByteCopy, click "File" > "Load Disc" button to browse to disc drive and import source movie into this app. When both Blu-ray or DVD disc exists, the program will load DVD disc first. You can choose forced subtitle below the chapter list. According to plex supported formats, you can set the output format as MP4 or MKV. 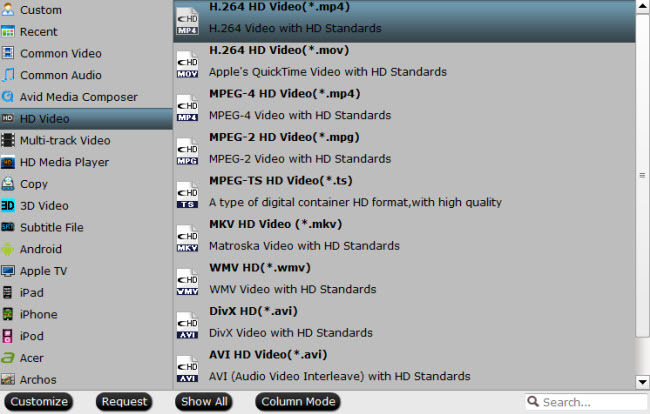 Click the format bar to follow “HD Video” ＞ “H.264 HD Video (*.mp4).” Of course you can choose other output formats from the output format list as long as they are compatible with the Plex. Click the convert button under the preview window, and the Blu-ray ripper will start the conversion from Blu-ray/DVD movies to QNAP TVS-673 for Plex Media Server. Once the conversion finished, get the ripped Blu-ray and DVD files and put the media files in the QNAP TVS-673 media pool. Then you can stream the Blu-ray and DVD movies with Plex through QNAP TVS-673 on your Television set in the bedroom or sitting room.